The situation in Libya is evidently headed for a quagmire. At the moment, the vision of the situation should not be limited to the viewpoint of the Western coalition's member countries (which remain divided over quite a few key issues and whose governments will yet endure fiery criticism over the campaign from their respective constituencies) but should encompass the wider context of the post-revolutionary Arab world. 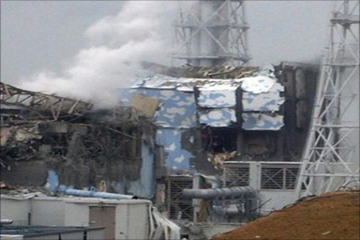 The way the European Commission react on the nuclear disaster at Fukushima-1 nuclear power plant in Japan does not coincide with the common idea of clumsiness of the European bureaucracy machine. The decisions to carry out stress-tests of Europe’s nuclear power plants and to elaborate new nuclear security standards were made on a timely basis. A wide discussion is under way at the level of industry’s experts how the energy sector in Europe should develop further considering the Japanese experience. A death sentence to Libya's sovereignty was handed out long before the protests inspired by Western intelligence services shook the country and the UN Security Council responded to the situation with anti-Libyan resolutions. There are fundamental causes behind the strategy aimed at ruining Libya. Years ago, it was designated as a target by the architects of the new world order, and the air raids against Libya were just a matter of time. Libya is at the epicenter of the crisis unfolding across the Arab world. 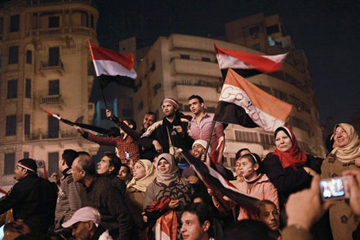 The anti-Gadhafi protests which broke out in February promptly escalated into an armed uprising. Rebels gained control over Libya's eastern provinces, the key city of Benghazi, and a number of Mediterranean centers. Parts of Libya's armed forces and some of its envoys supposed to represent it in other countries and in the UN switched their loyalty to the rebels. THERE IS SOMETHING DIFFICULT TO UNDERSTAND about the recent events in Japan at first sight. The only country to have suffered from a nuclear attack and experienced the tragedy of Hiroshima and Nagasaki decided to develop the nuclear power industry, risking repeating the nightmares of the past. Indeed, building a whole network of NPPs in a seismically active zone seems totally insane to a normal person. Today, thousands of people that are running away from Fukushima-1 say, "We knew that it was dangerous, yet we were told time and again that we are completely safe. They have lied to us all this time." Even the Japanese prime-minister flew into a rage when he could not get a rapid and precise report about the damaged reactor. "What's going on, finally?" he asked the operators of Tokyo Electric. Officials of big companies and ordinary Japanese people are expressing their extreme displeasure at how the government and the spokesmen of the nuclear power industry are informing the population. As a result, the authority of energy companies within the country has fallen lower than the rating of Japan and its stocks on the world's financial markets. I am sure that Japan will overcome the effects of the disaster, all the more as unprecedented international assistance should be accorded to it. Japan will undoubtedly continue to rank third among the world's most developed countries. Yet at what cost? In Japan, the nuclear industry is not just an influential business or a simple lobby that exerts pressure on the country's political elite. It is something more - a force that has been largely responsible for the Japanese economic miracle. A wave of anti-government protests in the Arab world has made us think about whether such events are possible in other parts of the planet. Then Central Asia comes to mind immediately as a region which has much in common with the Arab civilization. The leaders of Central Asian regions do not seem to rule out the possibility of social unrest among their people. Any kind of information about the ongoing crisis in the Arab world receives poor coverage in the local media and is always censored. A typical technology of deception is to tell the truth, but not the whole truth. The coverage of the recent catastrophes at Japan's Fukushima 1 and Fukushima 2 nuclear power plants seems to be built on the above principle. The statement made by NATO Secretary General Anders Fogh Rasmussen that the alliance is not going to launch an operation in Libya without UN blessing grabbed the headlines. Rasmussen did voice extreme concern over the situation in the country and expressed the view that the steps taken by Gadhafi's regime bordered with crimes against humanity. Overwhelmed with the outbursts of white noise which accompanied the New START ratification, for a period of time the Russian diplomacy seemed oblivious to Washington's missile defense plans, including those pertinent to the European part of the missile shield. On February 9, the UN Security Council passed a resolution confirming the outcome of the referendum in Sudan which by 98.83% of the vote established its southern part as an independent state. The new country will be officially welcomed to the map of the world on July 9. An array of issues including border demarcation, citizenship, security measures, and assets sharing await resolution in the meantime.